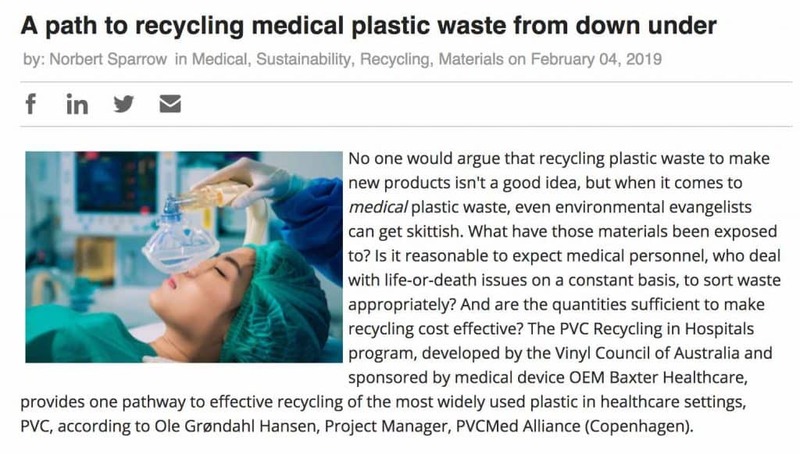 Though circular economy and resource efficiency have been on the agenda for years, recycling of medical devices has often been considered a no-go due to fear of contamination. Yet in Australia and New Zealand more than 150 hospitals collect and recycle PVC-based medical devices such as oxygen masks and tubing, IV bags and nasal cannulaes. 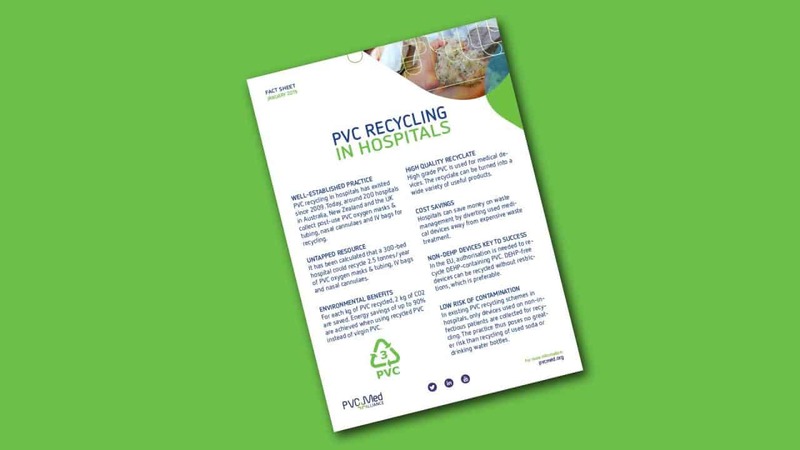 And in the UK, more than 10 hospitals are part of the similar RecoMed scheme, funded by the European PVC industry’s sustainable development programme VinylPlus®.